... gold metal, solid silver and silver metal). 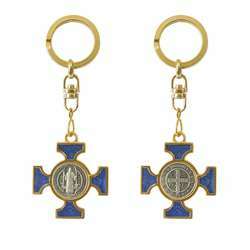 All religious medals made by Pichard-Balme in sterling silver and solid gold are marked with a diamond-shaped punch on the fixed bail after the word "FRANCE". This diamond is the master stamp affixed by the manufacturers certifying that for solid gold medals, it is 18-carat gold, and for silver medals it is 925 /1000th solid silver. This rhombus includes a sword, and the initials P-B (Pichard-Balme). For gold-plated medals, the punch is square-shaped. 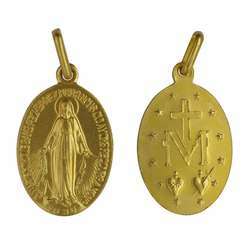 For the gold plating used is 18-carat gold; the thickness of the plating is 3 microns. These medals are in accordance with the French legislation concerning the hitting of the medals. In this regard you can consult the General Tax Code, Annex 3, Book I, Part One, Title III, Chapter II, Section VI, Article 213: Section VI: Medal Strike . 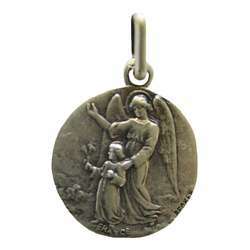 On each product page, you have a reference to the most appropriate necklaces or chains for the selected religious medal . The medals in solid gold are delivered in a box box offered. 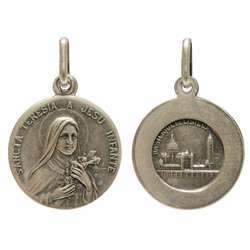 For each religious medal , we put on one image the front and back of the medal , as far as the back of the religious medal is engraved a character or other motive. 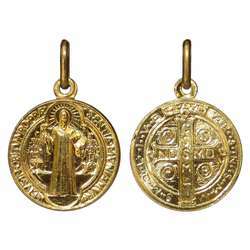 The presence of the back and front of the religious medal on a single image is not to understand as if we had two models of religious medals different or that religious medals are sold in sets of 2. 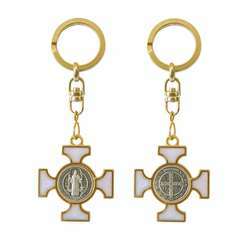 Medals and other religious items are not always blessed. But, on your explicit request at the time of your order, we can bless the medals before sending them. How to apply for a blessing medal? During the ordering process, you have a page where you must specify the delivery address. On this page there is a comment box where you can ask for the medals to be blessed. 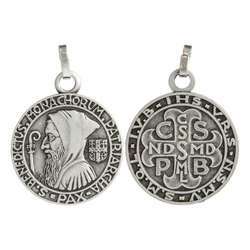 About this blessing of religious objects we have devoted an article of our blog where you will find more details: Blessing of Religious Objects For Saint Benedict medals we use the ritual specific to this medal which includes an exorcism prayer. 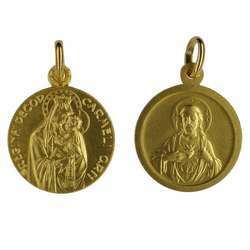 - miraculous medals , these are undoubtedly the most famous and most popular religious medals; this medal was given by the Blessed Virgin herself in 1830 to St. Catherine Laboure; on the site of our Abbey you will find the story of his life: Saint Catherine Labouré . 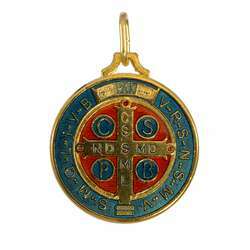 The spiritual and temporal favors obtained by this medal are without number. One of the most extraordinary is without doubt the conversion of Alphonse Ratisbonne whose story is available on our website clairval.com . 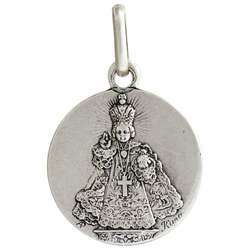 The miraculous medal can be considered as an ancient religious medal, it is almost 200 years old. - medals of the scapular of Our Lady of Mount Carmel : the Holy See authorized the wearing of the scapular medal instead scapular wool. However, to benefit from the promises attached to the port of the scapular, it is necessary that the imposition of the wool scapular was made a first time. 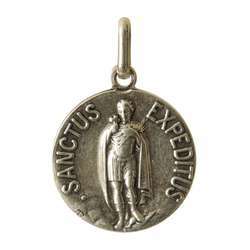 On the other hand, the Church, while allowing the replacement of the wearing of the scapular cloth by the wearing of the medal, prefers, as far as possible, that the faithful wear the scapular wool. You can find a wool scapular on sale at this religious shop: the cloth scapular . for more information about the scapular of Our Lady of Mount Carmel a brochure is available on the following page: Book on the scapular of Our Lady of Mount Carmel . 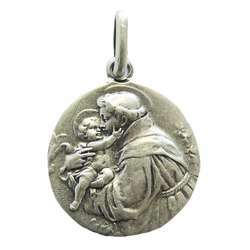 For the religious medal of Saint Joseph, there are no specially approved models such as for the Saint Benedict Medal or the Miraculous Medal. 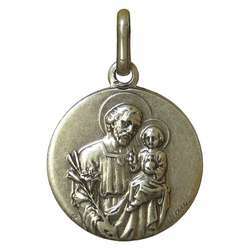 The Saint Joseph Medal that we sell on our religious shop represents Saint Joseph holding in his arms the Child Jesus, which recalls his adoptive paternity towards Jesus and a lily in his left hand which symbolizes his virginity and his role with the Most Holy Virgin Mary. 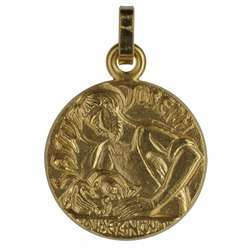 The saint Benoit's medal is perhaps the oldest religious medal that exists. 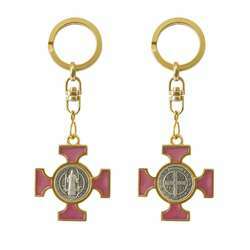 The effectiveness of the Saint Benedict Medal comes largely from the power of the sign of our salvation, the cross, which Saint Benedict holds in his hand and which is also represented on the back of the medal . 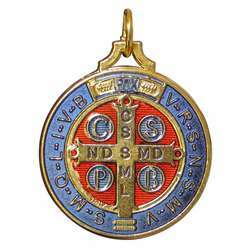 Thus the power of this religious medal has been particularly noted against the pitfalls of the enemy of the human race, against all kinds of temptations and on all occasions when the faithful have to dread the evil action of Satan. 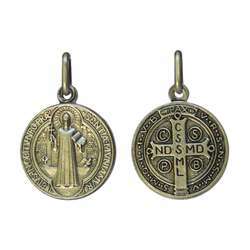 We can also use the St. Benedict Medal in anticipation of other dangers that are not caused by the direct action of the Devil. 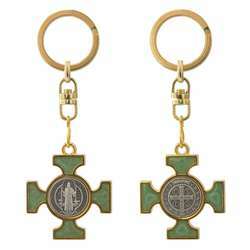 We also have some religious medals of saints. If you want a particular saint, do not hesitate to contact us we are able to offer you other saints. To help you make good use of the religious medal, we give you some explanations about the meaning and effectiveness of the blessing applied to a religious medal or any other religious article. Blessing is a rite performed by the sacred ministers in the name and authority of the Church, either to consecrate persons or objects in the service of God, or to provide the faithful with good spiritual or temporal effects. Only God can really produce in his creatures the proper effects of his blessing. This power has been communicated by God to the creatures who represent him. These representatives proceed by invoking his name and supplication. Over the ages the types of blessings have multiplied. In instituting them, the Church has used, for the good of the faithful, the power that Jesus Christ had communicated to her. This power of blessing, the Church has really conferred on priests. - consecratory or constitutive blessings: these make people, objects or places blessed have a kind of sacred character, are removed from the uses of the common life and intended for divine worship. Blessed objects should no longer be used for profane, even honest, purposes, and there would be a sacrilege to divert them from their holy destination and treat them unworthily, especially with contempt. 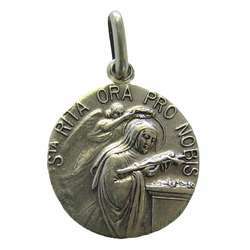 - simple or invocative blessings: are invocations by which the sacred ministers ask God that in his benevolence he gives blessed persons and objects some spiritual or temporal advantage, without that these persons or things become holy or sacred and change their state from the religious point of view. 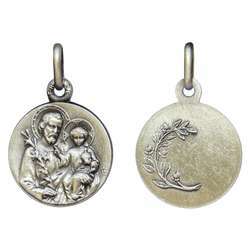 Blessings for religious medals (Saint Benedict Medal, Miraculous Medal, Scapular Medal) are in this class. By their consecration or blessing, objects have no new inherent quality; they have with God a real relationship by virtue of which God is brought to produce spiritual effects in those who use them. There is therefore in blessed objects a permanent virtue. But as it results from the prayers of the Church and the consecration of the object, it does not physically produce its effect. Blessings are therefore only occasional causes. They do not belong to magic. The blessing does not have an effective effect like the sacraments, but it is more than just a prayer; it is an impetus made in the name of the Church who speaks to God with confidence. The demand is, in a sense, imperative, because the Church has received from God the right to intercede for the faithful and to apply the means of salvation to them by way of intercession. God, because of the prayer of the church, will grant to the faithful for whom it intercedes the requested grace, if besides it is able and worthy to receive it. However, the effect is not certain and is not infallibly produced because God did not expressly promise to always grant the prayer of his Church.